Way back in 2010, the Occupational Safety and Health Administration–better known as OSHA–released new crane operator requirements that caused some confusion within the crane industry. Those requirements stated that all crane operators had to become certified for both the types of cranes they were using as well, as the lifting capacities associated with those cranes. However, OSHA later discovered issues with two of the four testing services, as they were distributing certifications to operators for the type of crane they were becoming certified to operate, and not the type and capacity. OSHA is also hoping to address another concern within the crane industry with their proposed rule changes. Stakeholders have argued that the certifications that have been handed out to operators over the last decade don’t necessarily prove that all operators have the necessary skills to do their jobs. So OSHA is now putting the onus back on those who employ crane operators to make sure those operators know how to operate crane equipment safely. 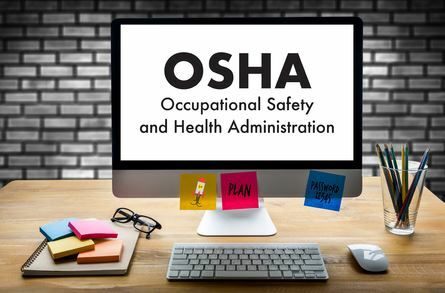 While some stakeholders are happy with OSHA’s response to the overall concerns about their rule changes, there are still some stakeholders who aren’t convinced OSHA is doing enough to keep job sites all across the country safe. In response, OSHA is giving stakeholders the chance to comment on its proposed rule changes right now. Originally, the deadline for comments from stakeholders was scheduled to be June 20. OSHA recently extended that deadline through July 5. Astro Crane is anxiously awaiting the next step in this process and looking forward to seeing what OSHA has to say about the stakeholders’ comments. In the meantime, we plan to continue to help companies in need of crane rentals. Call us at 978-429-8666 today to take advantage of our crane services.